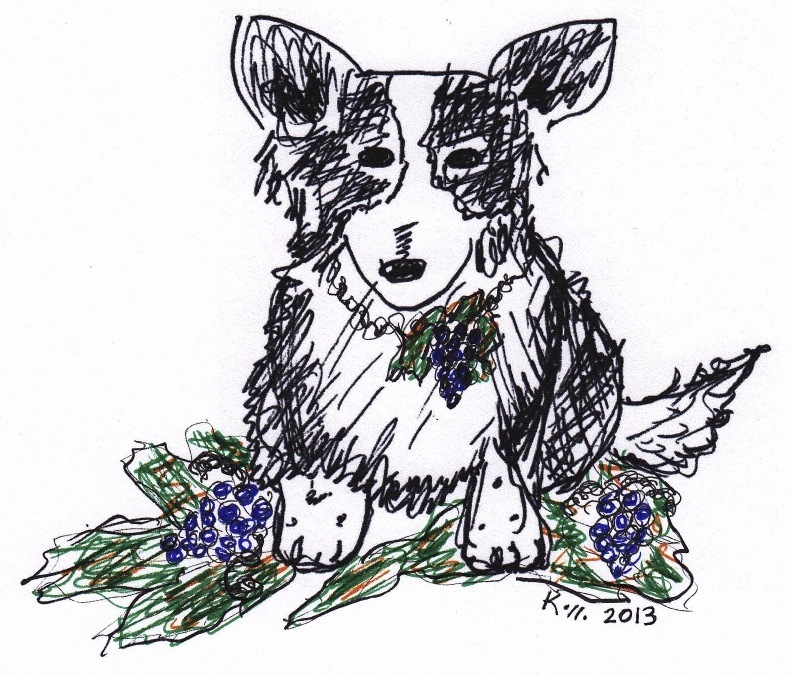 Look for this little sketch at the 2013 Cardigan Welsh Corgi National Specialty! Inspired by my girl, Denali, she’ll show up if you look for her! Lost dog. May have been stolen from owner’s yard in Sanger, CA (Fresno foothills). 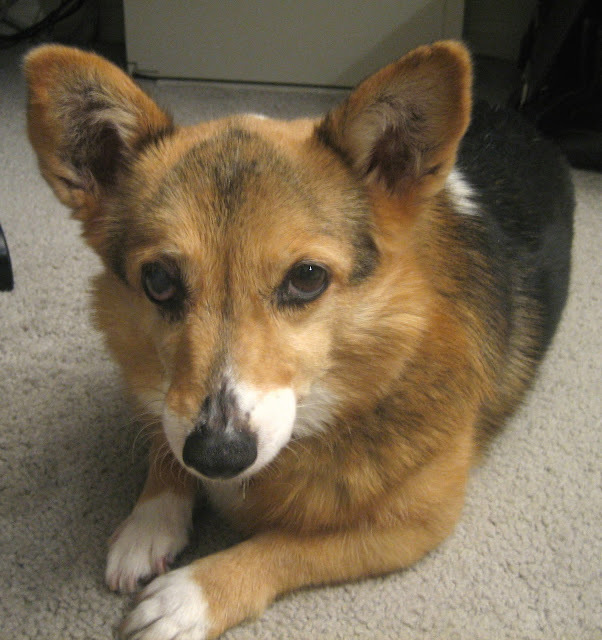 ForPaws Corgi Rescue has been made aware of a young corgi-x puppy that was lost (possibly stolen from owner’s yard) on Sept. 16, 2012. 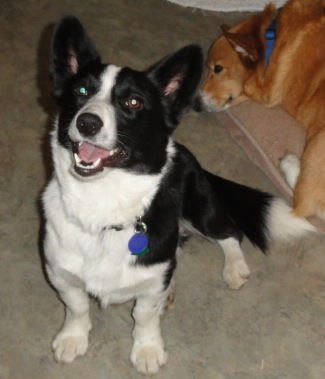 The dog is a corgi/border collie mix, but it looks like a purebred Cardigan Welsh Corgi. 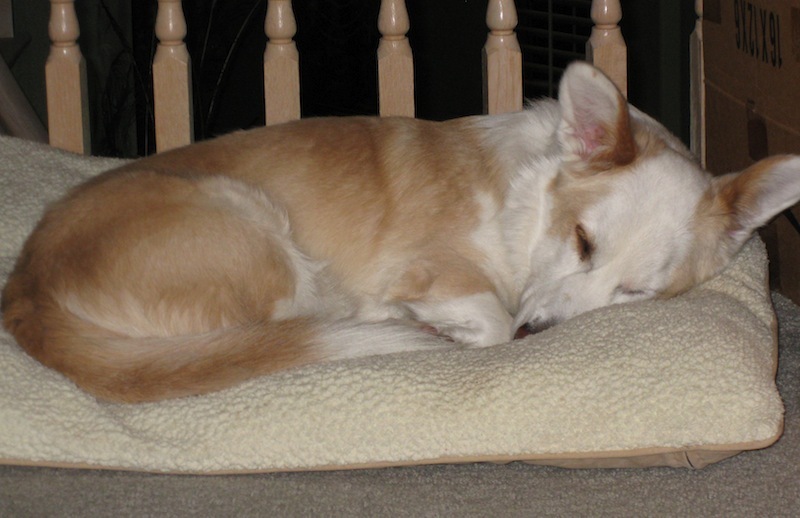 In the off-chance that someone might try to turn the dog into a Corgi Rescuer or to sell it, I am publicizing this information. The owner is devastated. This is a “heart dog” for her. Please be on the lookout. The dog’s face is very distinctive and she is easily identifiable. NOTE: No questions asked: We just want the dog back to its owner! 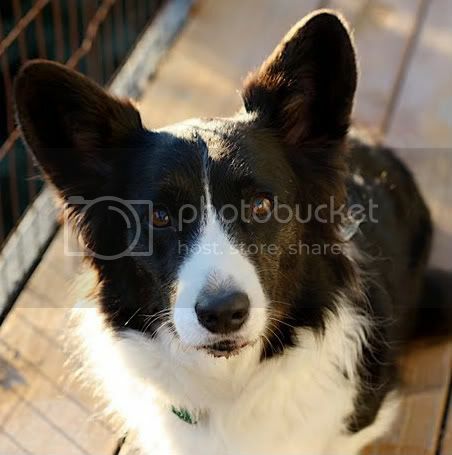 The owner has set up a blog with background information and a picture of the dog. Please share the link with as many people as you can. 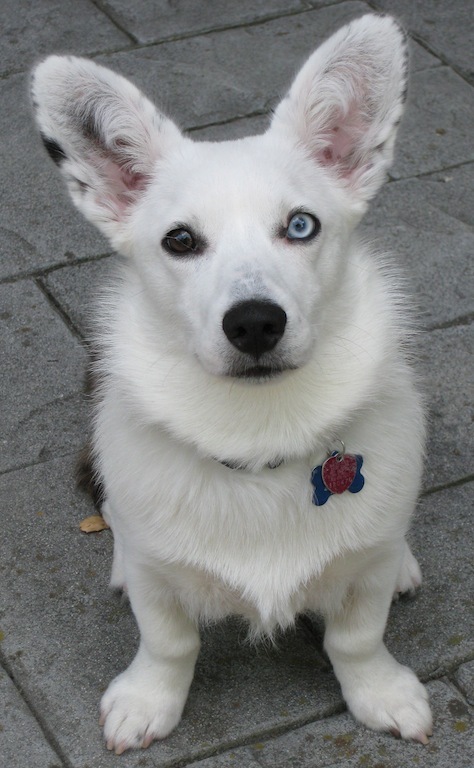 Distinctive markings: Face is half black and half white with distinctive tan “eyebrow” markings and tan markings at the sides of her face. She has short legs and a long tail with a white tip. Filed under: forpaws, Rescue |	Comments Off on Help find a Lost (stolen?) 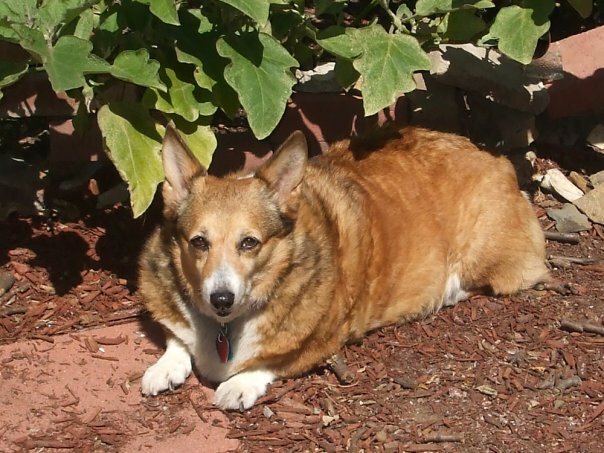 Corgi-x in Fresno, CA Area!!! This is Sage. He is almost 4 years old. I raised him from puppyhood, age 10 weeks. He is incredibly sweet and funny – he loves people. I love this dog and he called to me from the time I first saw his puppy picture. Unfortunately Sage is a dog that is easily over-stimulated. He was heavily socialized as a puppy, but never learned to tolerate other dogs and becomes fear aggressive if they get too close. 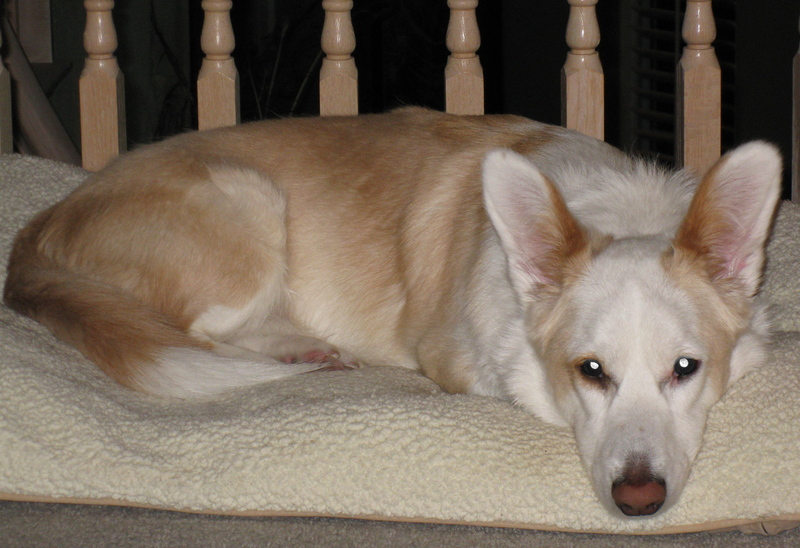 He is fearful of all other dogs and has only accepted Denali, the adult female that we had when he was a puppy. I think he thinks she is his mother. He adores Denali and looks to her as his pack alpha and protector. He is good with people (very affectionate), but needs a few minutes to get to know them. Initially he is fearful when meeting someone new, but has NEVER been aggressive with a person – and I’ve purposefully pushed him to test this. Due to his coloration (clear red dilute) he isn’t a show dog. Accordingly he was neutered when he was about eight months old. When I took Sage I was hoping for a competitive obedience dog. He is SO smart – forms concepts incredibly quickly. We started training right away. He was able to compete in Rally at the Novice level (on leash), but can’t be trusted off leash in a dog show environment. After three years of training, I just accepted that he would have to be a pet. He loves to give kisses and has my heart and the idea of him leaving our household leaves me feeling just shredded. 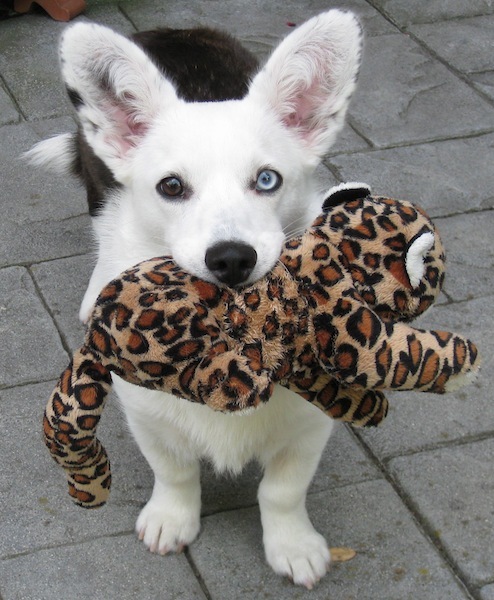 Sage has always been playful. He’s still like a puppy in so many ways. 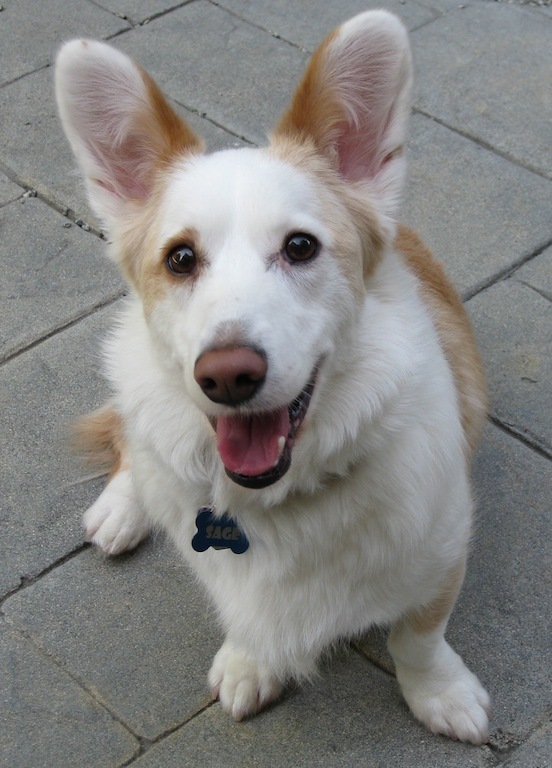 We thought he might accept a puppy more easily than another adult dog, so in March 2012 Quimby joined us. Enter little Miss Quimby – now age 9 months. She joined us at 12 weeks of age. She is the dog everyone wants. She has a solid temperament, is sweet, affectionate, super smart and very biddable. Quimby has almost completed her third obedience class, starting in “puppy” class when she was 12 weeks old. 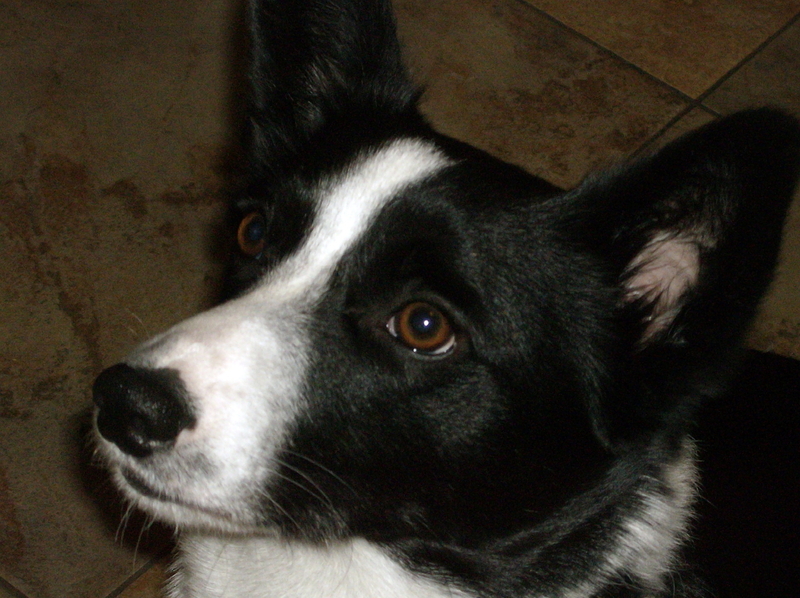 She has amazing focus, loves to work and shows great potential as an obedience/performance dog. She also called to me when I first saw her puppy picture. I tried to find something that would disqualify her, knowing we really didn’t need a third dog, but just couldn’t. She was exactly what I was looking for! 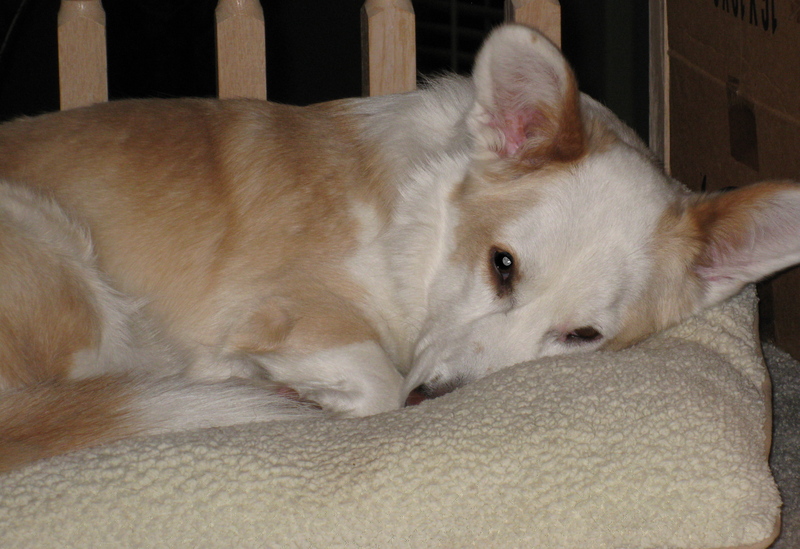 When I first met Quimby, at 8 weeks of age, I knew she was “my dog.” Subsequently she has bonded closely to me. Sadly, Sage has refused to accept her and evidenced fearfulness around her from day one. As she has grown things have become more strained between them and we have an unsafe home situation. I can’t imagine letting Quimby go, but she has now realized that Sage isn’t to be trusted and has become defensive with him. I don’t want to risk spoiling her wonderful temperament either. It breaks my heart, but it has become clear that it isn’t safe for Sage and Quimby to remain in the same home. I am completely torn as to what to do. Sage is my little boy. He’s got a quirky personality and needs to be in an only-dog situation with someone who “gets” him. For reasons I’ll never know, he is just extremely fearful of other dogs and feels the need to defend himself. 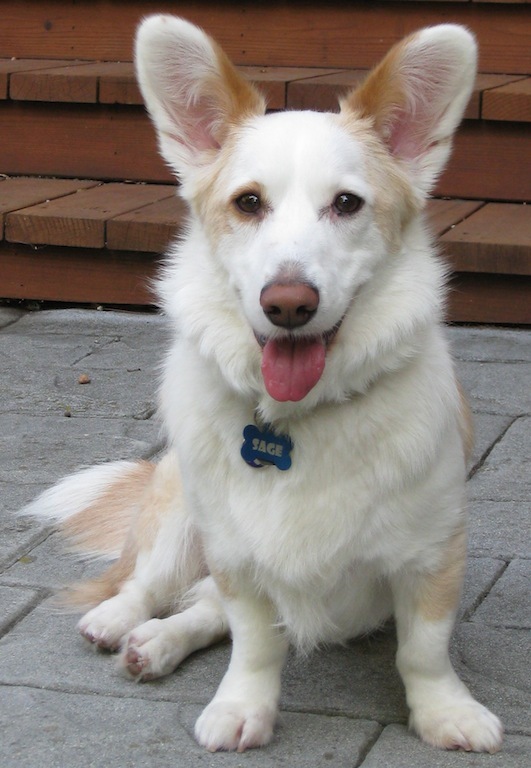 He needs a knowledgeable, understanding owner with whom he can form a bond of trust. I feel terrible when I think of letting him go and worried as to what might happen to him if I do. Quimby is about as nice as a dog can be. She could go anywhere, but she too has my heart. The idea of seeing her go is devastating. And if she leaves, I lose the obedience candidate I’ve been looking for for so long. It is a very emotional dilemma for me. Both dogs came from reputable breeders who have fully supported whatever decision I make and will work with me to find a good home for whichever dog becomes available. Even so, I am struggling horribly with this decision. I know there are a number of “cardigan people” out there who have faced this sort of an issue. I also know that in the end the decision is mine, but would be interested in advice, observations, inputs from others who have faced this decision in the past. In April 2004, this pretty girl found a wonderful home. Sadly, her human is now mourning her recent loss, due to cancer. In foster care her name was Isis. 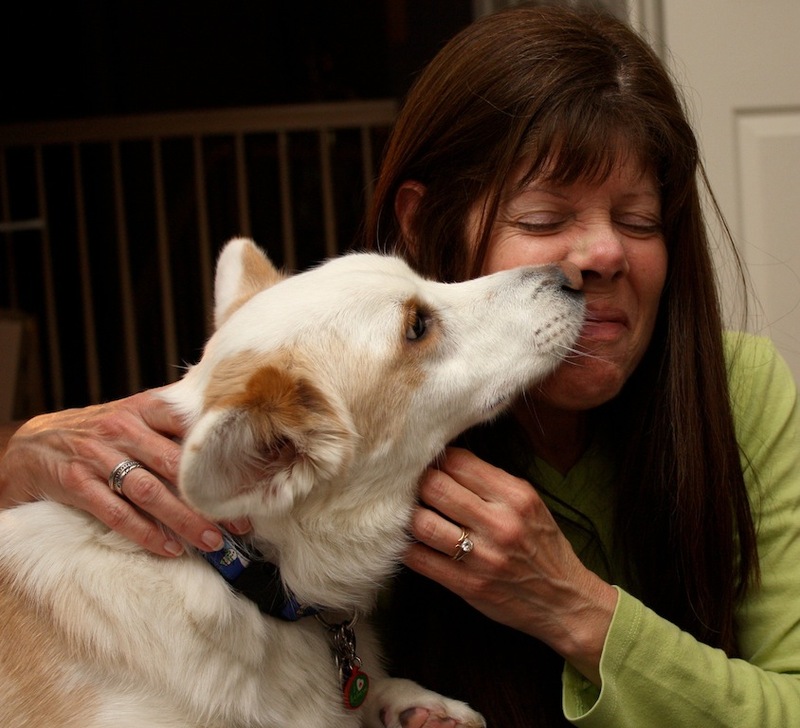 She became “Ellie” in her new home and was a treasured companion. She will be deeply missed. Please send some good thoughts to Ellie as she crosses The Bridge. She was a very lucky girl and we are deeply grateful to her person for giving her such a wonderful life. 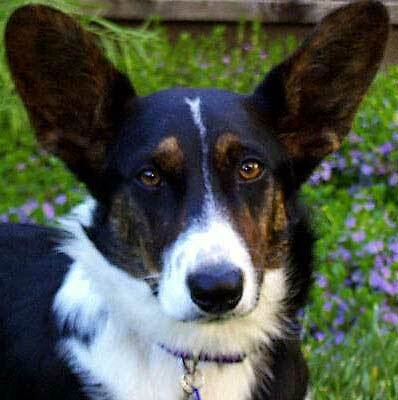 Once in a blue moon we see a nice Cardigan Welsh Corgi like this in rescue. Last year this handsome teenage boy found his forever home, just in time for the holidays. Ruben found the home that every dog dreams about. 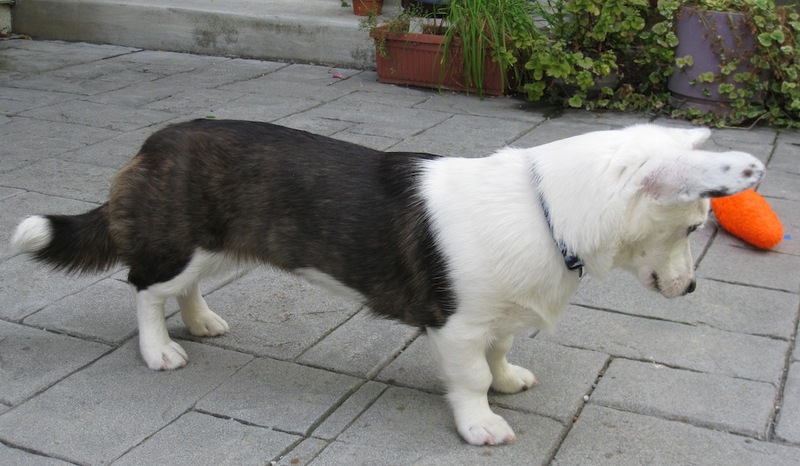 While these folks had had corgis previously, this is the first Cardigan and they’re thrilled with his happy, sweet, energetic temperament. There could be some performance awards in Ruben’s future, based on the nice update we just got from his mom (below). HUGE thanks to Ruben’s new family for giving him such a wonderful home! I hope this little note finds you both well. Just wanted to give you the latest update on Reuben. 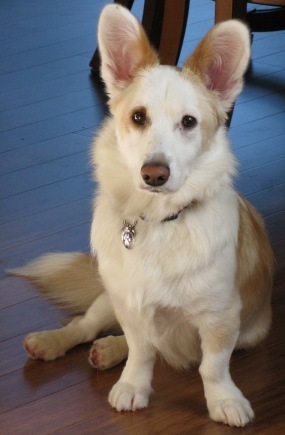 He is a STAR** pupil and graduated from beginner training class with flying colors! He can now sit, stay, leave it, roll over, shake and come when asked. We are working on heel at the moment and he is doing extremely well. I also took him to a local dog training and day care facility where they offer agility training. When the weather cooperates (spring) we will be embarking on some fun things. 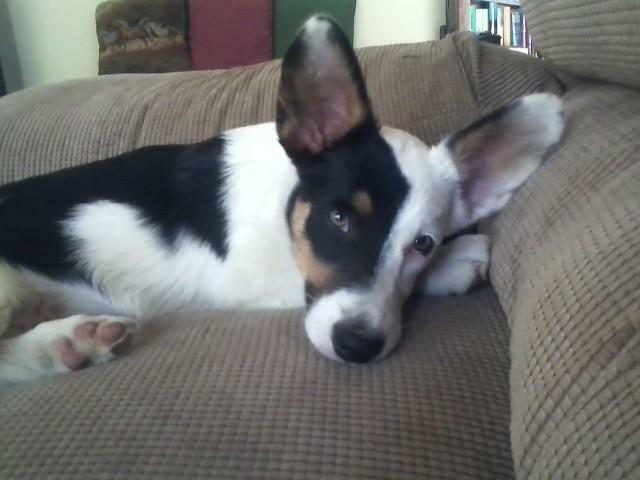 He is just such a wonderful and SMART dog and I just love him to pieces!!! Its off to Pet Smart today…..Reuben just loves the “TREAT” isle!!! Thank you both again so much!!! Give all the dogs big hugs and kisses from me and Reuben. I have also attached one of my favorite pictures of him. 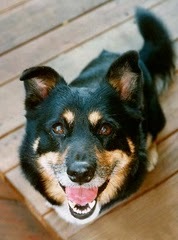 Filed under: adoption, forpaws, Rescue |	Comments Off on Rescue Updates – Ruben got a GREAT Home! 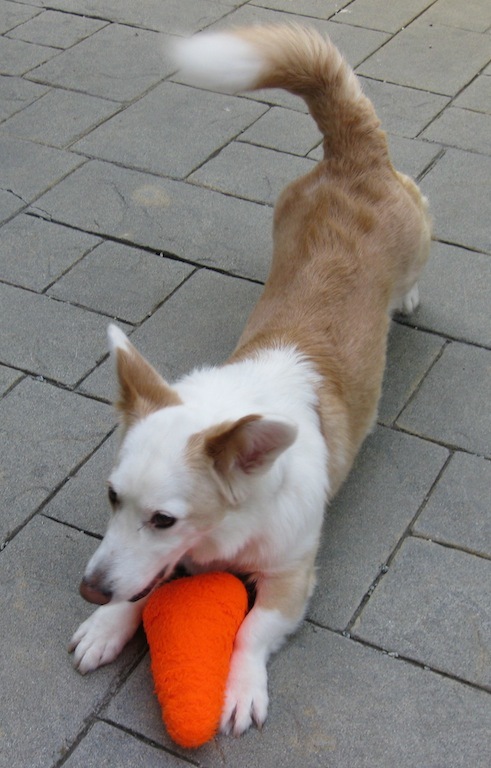 Meet Andy – a sweet 11-year-old male Pembroke Welsh Corgi who has been lost in Connecticut since January 1, 2012. On New Year’s Eve his family traveled from Massachusetts to visit friends in CT. Andy got spooked by the fireworks and bolted. He has been missing ever since. The complete story, including more pictures and up-to-date news of sightings in the area are on the blog entitled Bring Andy Home. If you live in the area, please be on the lookout and do all you can to help find him! Filed under: Corgis |	Comments Off on Help Find Andy!! Ever Feel Like Someone’s Watching? Last week I put a dog bed right outside my office door. From here Sage can watch me, and keep an eye on the rest of the house. Obviously I found the sweet spot because Sage is using this bed a lot more often now. This is what I see when I turn from my desk…awww! Filed under: Sage |	Comments Off on Ever Feel Like Someone’s Watching?